A pure protein enriched hair spray, possessing an oil base, designed to give all textures of hair a lustrous and lasting sheen. 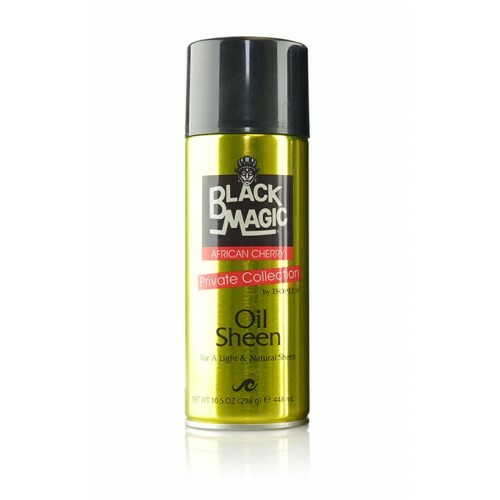 You will immediately notice BLACK MAGIC's® unique natural sheen. SHAKE WELL. Comb and brush hair to style. Hold container about 12" from hair. Keep can upright and spray evenly.